COX Automotive, the world’s leading automotive services company, has extended its already broad footprint across the motor industry with an investment in a ride-sharing platform. The move gives the privately-owned company a foot in the door of the next generation of growth in motoring services. Ridecell Inc, which claims to be the platform of choice for leading car-sharing, ride-sharing, and autonomous fleet operators, has just closed a Series B funding round of $US28.61 million ($A38.7 million). The investment round was led by Cox Automotive alongside another investor, Initialized Capital. Additional funding came from Denso, Penske, Deutsche Bahn and Mitsui which are all existing or aspiring stakeholders in the new mobility ecosystem. Founded in 2009, Ridecell has already processed over 20 million rides and rentals, and has a team of more than 100 staff in the US, Europe, Asia, and Australia. Cox Automotive vice-president of new growth and development, David Liniadoat, said the strategic investment in Ridecell was “another tangible move we are making in the mobility space”. Ridecell, in an announcement, said the strategic partnerships with the investors would connect it to “a comprehensive portfolio of tier-one partners who provide critical products and services to mobility operators”. “Ridecell’s work with these partners in fleet management services, vehicle components, and emergency roadside services will increase the value mobility operators gain in these areas without having to reinvent the wheel for every integration,” the announcement said. Ridecell said its funding partners all recognise the fundamental transformation that was going to take place in mobility services. It said that Penske, for example, which operates about 250,000 trucks in its logistics arm, would be looking to the Ridecell platform to “leverage the changing transportation services landscape” and develop new urban mobility services as part of Penske’s core business model. This also applied to Mitsui which also includes a massive logistics arm. Denso would be working on hardware designed specifically for new-mobility use. The combined expertise of the investors would be used to create “a more complete and robust Ridecell ecosystem”. The company recently unveiled the first details of a Developer API suite which allows its partners to design their branded look-and-feel on top of the Ridecell platform. This will give various customers the means of creating their own familiar customer experience and brand attributes for their existing customers sitting on top of the Ridecell platform and therefore integrate the the Ridecell system into their own branded environment. Ridecell’s potential customers include OEMs, car rental companies, auto clubs, cities, transit agencies, dealer groups, and private fleets which want launch and expand their own ride-sharing and car-sharing services. The company says that, by using its platform, its customers can accelerate time to market by launching their mobility services quickly, operate efficiently, and scale revenues as the business grows. 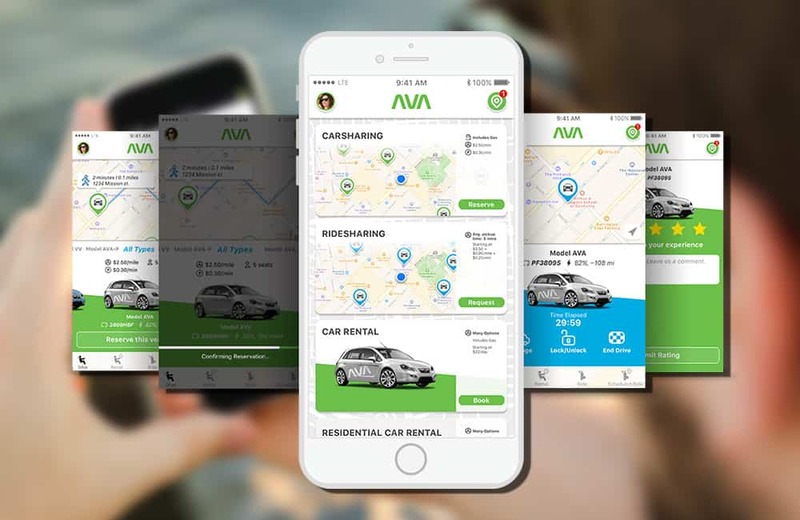 The company now powers new mobility offerings, including ReachNow, a mobility service from the BMW Group, ZITY by Groupe Renault and Ferrovial, and GIG Carsharing service by AAA. In addition, Ridecell powers dynamic shuttle services for campuses such as Georgia Tech, UC Berkeley, UCSF (San Francisco), 3M, and transit agencies like SouthWest Transit.